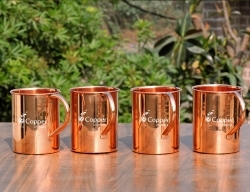 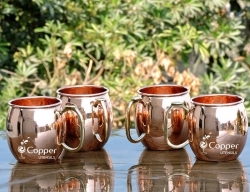 The set consists of 4 plain copper mugs and one two-sided copper jigger. 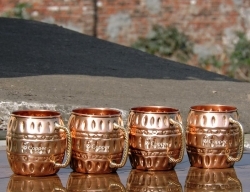 A great set to add in your bar collection. 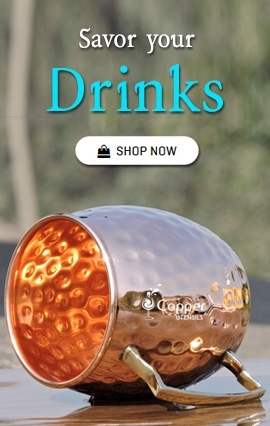 The perfect accessory to make and serve cocktails. 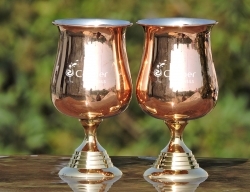 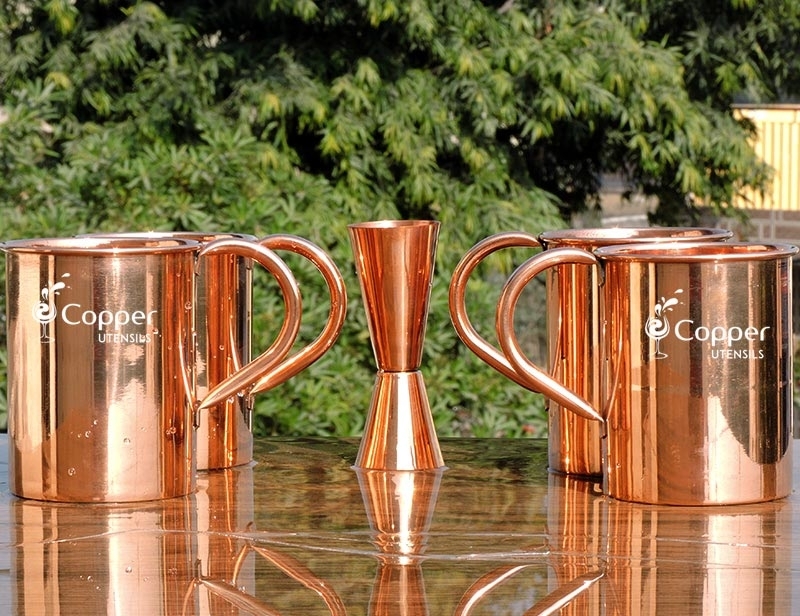 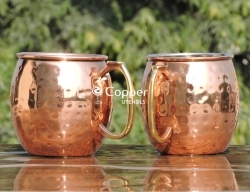 Add a pleasant twist to your cocktail parties with our plain copper mugs set that come with a two-sided copper jigger. 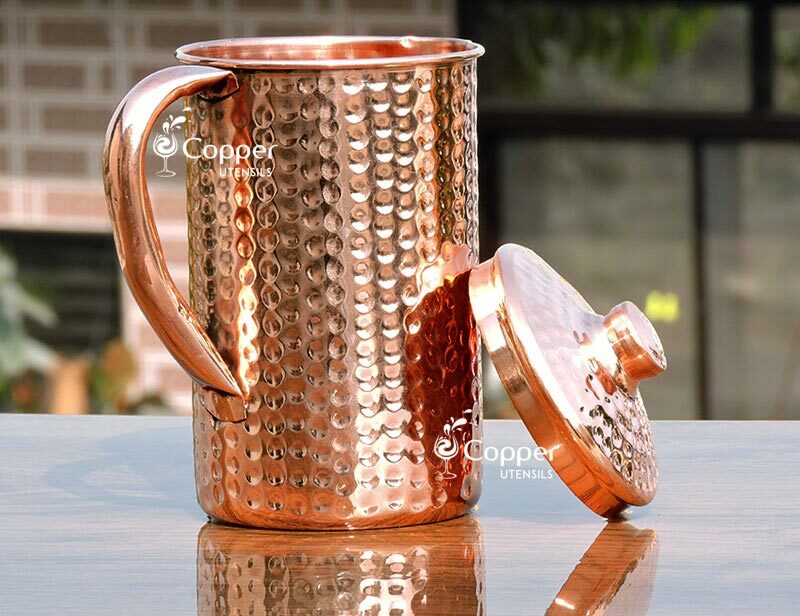 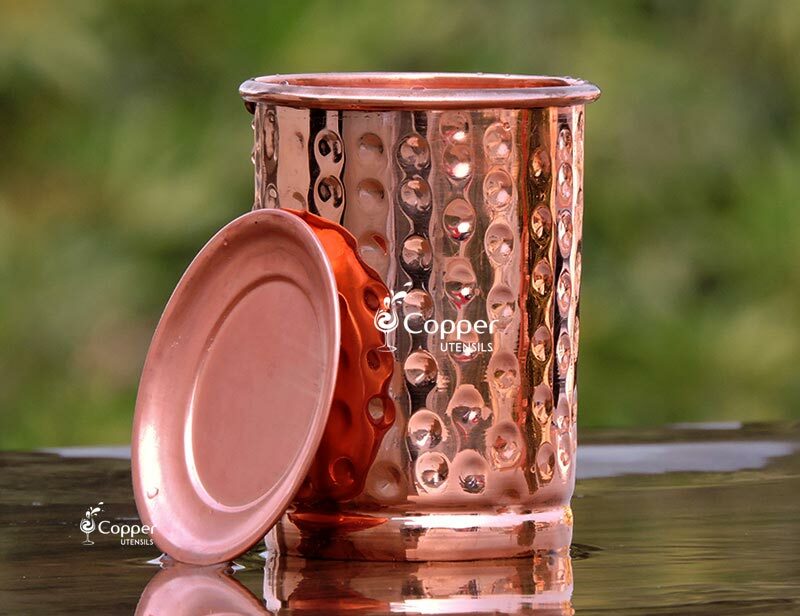 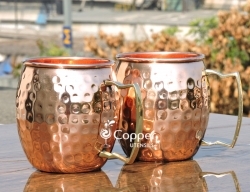 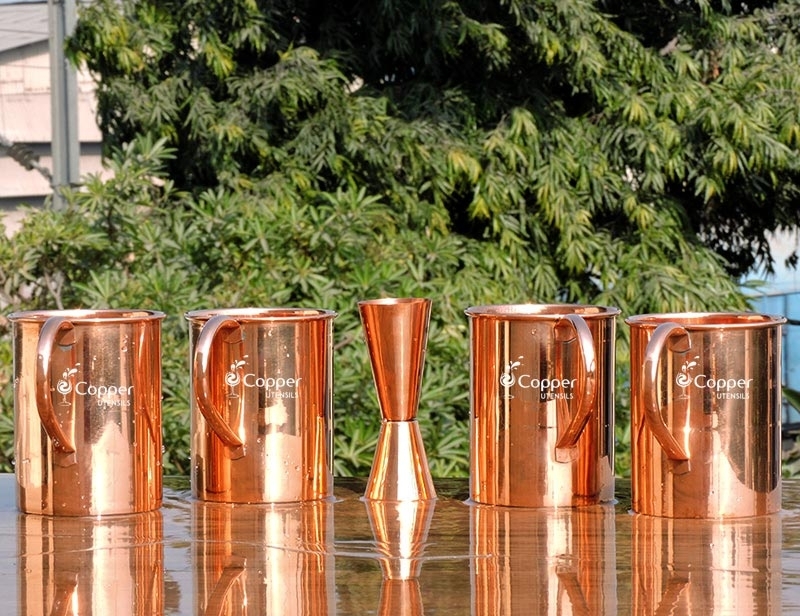 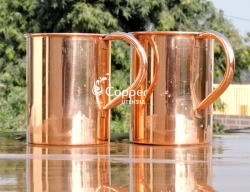 Copper mugs are the perfect accessory to serve beverages such as Moscow mule, mojito, etc. 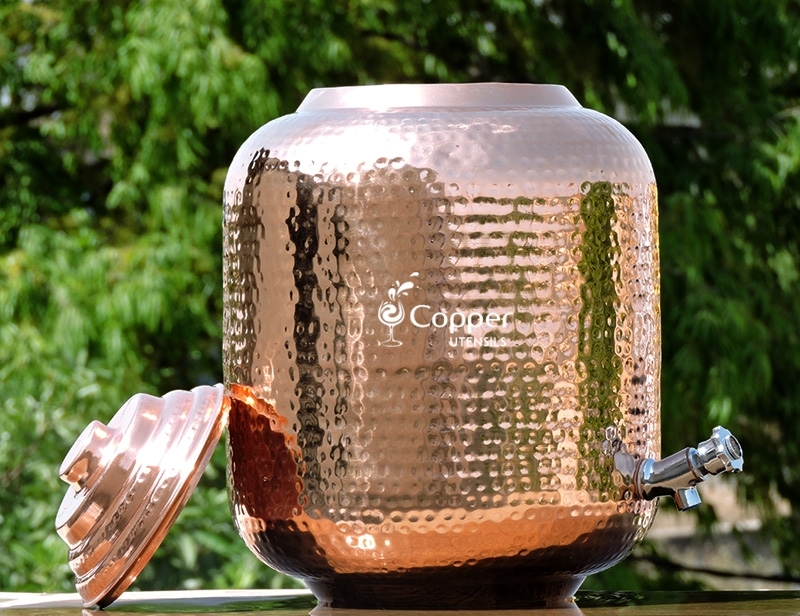 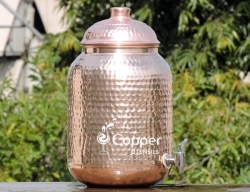 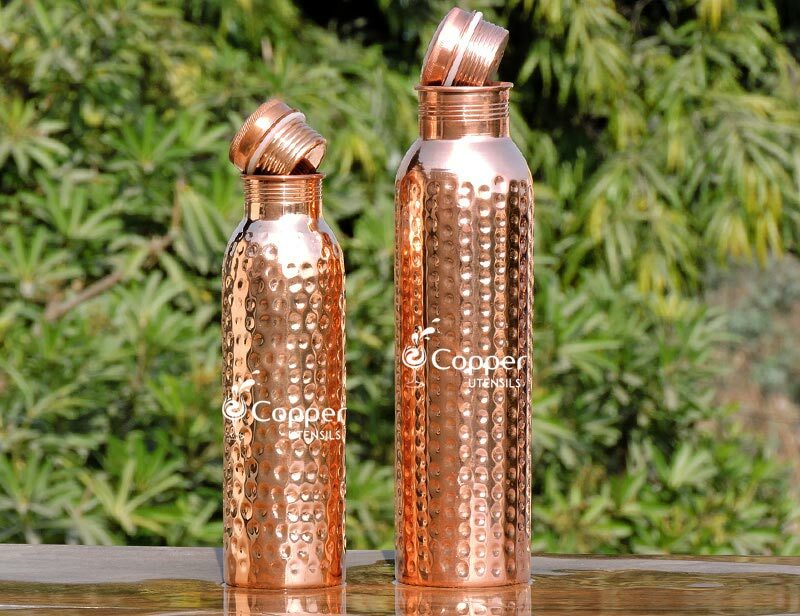 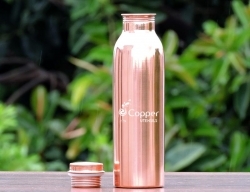 The copper material helps in keeping the drinks cold for a longer duration. 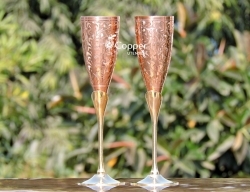 When cold beverages are served in copper utensils they take up the cold temperatures of the drink and offer an instant chilliness to the lips. 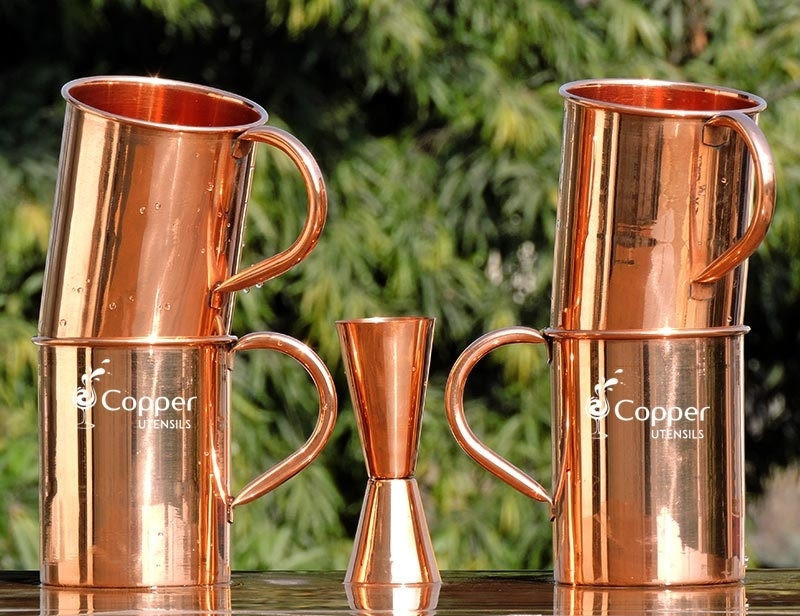 And, with the two sided copper jigger your drinks will turn out the same each time. 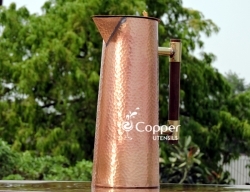 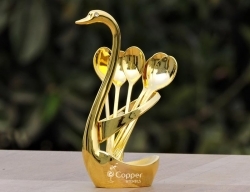 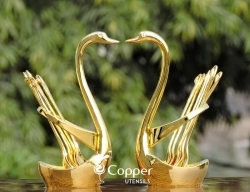 Some people may restrict themselves from trying out copper utensils as they think that copper utensils are much more difficult to maintain. 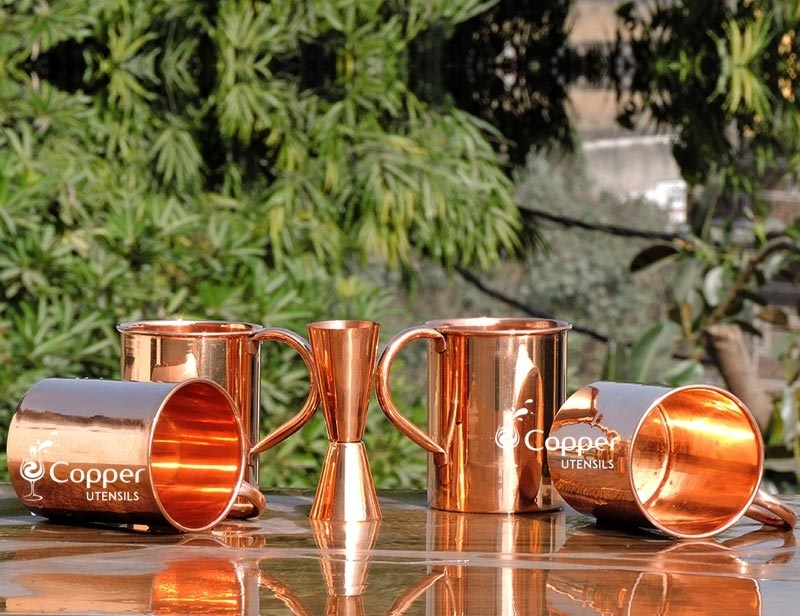 But on the contrary, copper utensils are fairly simple to maintain. 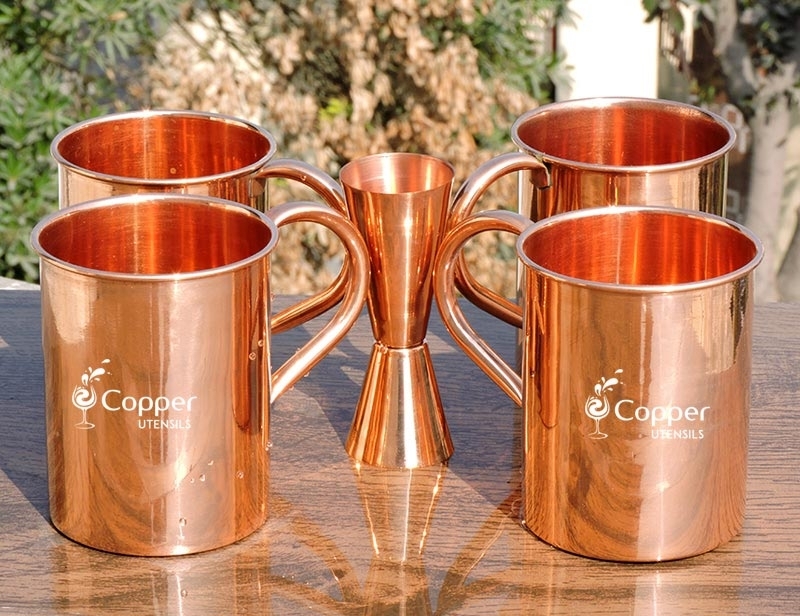 All you need to do is clean the copper mugs regularly following the instruction leaflet provided with the product to maintain the shine. 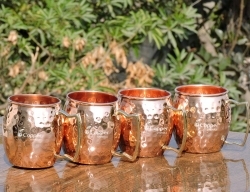 I have been searching for a year for the perfect Mule cup, and I finally found the one. 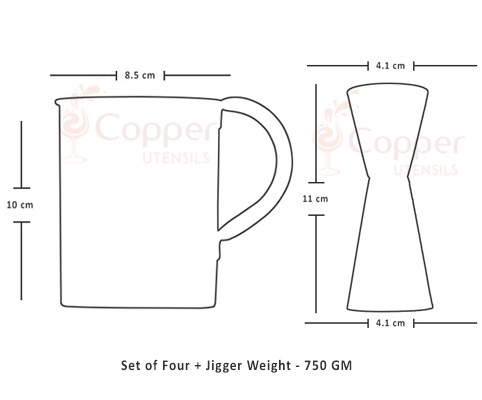 I love the shape of the cup and especially the handle and Jigger.